In the last one year or so, Mumbai-based pharmaceutical packaging solutions provider Award Offset Printers and Packaging has been on an aggressive multi-crore investment drive to upgrade its flagship Navi Mumbai plant and expand its Silvassa unit. The many changes in the past three years at this company include not only the absorption of leading-edge production technology but also a diversification in product mix from just monocartons to corrugated cartons; and, from only pharma customers to the food and retail segments. In mid-July, Award also shifted its administrative headquarters from Lower Parel’s Adhyaru Industrial Estate in central Mumbai to an elegant new office in the business district of Andheri East. 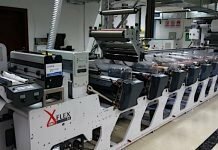 Not only has Award strengthened and upgraded its converting and postpress sections, it has also added capacity to its pressrooms. The company has traditionally opted for German technology in its press department. Although Award has kept its faith in German technology by investing in a 7-color KBA Rapida 105 UV press with 4+3 intradeck curing systems, it has also, for the first time opted for Japanese made presses by commissioning a Komori Lithrone GL40 7-color plus coater press at the Navi Mumbai plant and a Komori Lithrone GL40 6-color plus coater at the new Silvassa plant. With this, Award now has six multicolor offset presses: three from Heidelberg, one from KBA and two from Komori. In terms of postpress, finishing and converting technology, there have been several high-technology equipment that the company has brought in at both Navi Mumbai and Silvassa that help it provide complete packaging solutions. These include new converting, leaflet folding, inspection systems, lamination, liner, and blanking machines. The standout piece of hardware has been an Expertfold folder gluer with the Speedwave-2 technology that has been installed at the company’s Silvassa plant. Award was among India’s very first packaging convertors to have opted for the Speedwave-2 technology. 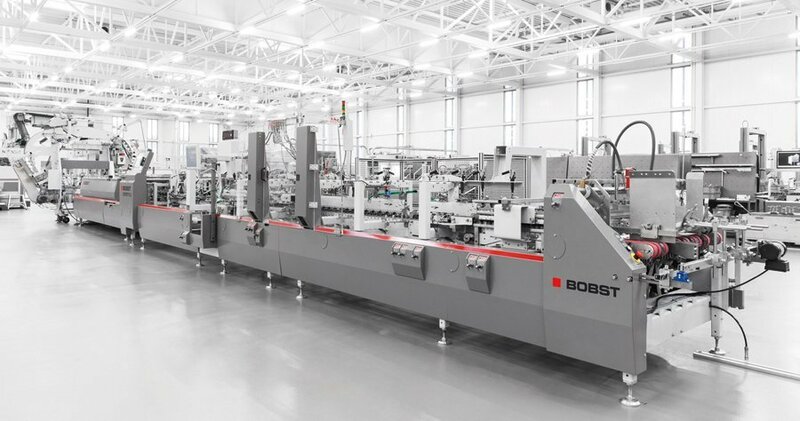 The company has been a long-time customer of Bobst; now it has a combined total of 11 Bobst machines at its two plants. “Our association with Bobst goes back more than two decades. So, when we were planning to add another folder gluer at our Silvassa plant, we discussed the matter with Bobst; they suggested that we go for the Expertfold with Speedwave technology. 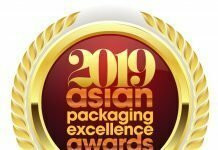 We understood what the technology was all about and thought it would be an ideal solution to increase our efficiencies in converting,” says Nitin Shah, director, Award Offset Printers and Packaging. The new Expertfold was formally put into operation in the last week of July. The first generation of Speedwave was introduced in 2008 in the Masterfold. The Speedwave-2 technology was displayed to the industry just a few months ago in February 2018 at Bobst India’s Pune facility. The second generation of Speedwave has been launched in Experfold so that a larger pool of customers can take advantage of this technology. Some of the noteworthy features in Speedwave-2 include conveyer settings that are all motorized, thus minimizing any mechanical settings. Speedwave-2 significantly reduces the number of items that need to be set up. This cuts set-up time by 50% for crash-lock bottom cartons. Another advantage that the technology offers is that of increased productivity for crash-lock bottom and special box types by 50% and even more. Finally, Speedwave-2 makes finishing of boxes with windows much easier because of the elimination of hooks and no possibility of hooks getting stuck. An Expertfold folder gluer, and a Bobst Novacut 106 die-cutter were also recently commissioned at Award Silvassa. In addition, the company has added leaflet folders from Pratham and Guk, a lamination machine from Tiancen, a Heiber and Schroeder WP Speedliner and a Checkmate inspection system from Autoprint. Recently, Award commissioned its corrugation line at the Silvassa plant to add to its area of operation. It currently produces E and F flute corrugated cartons, with a production capacity of about 250-300 tons per month. “By starting the corrugation line, we have made sure that our current customers who require corrugation solutions do not have to look someplace else. There was a lot of demand from our customers,” says Rajesh Shah. 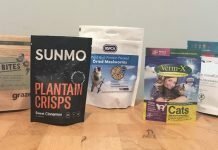 Having started leaflet printing last year and following it up with a corrugation line, Award now prints cartons, leaflets and provides corrugation solutions. Nitin Shah says the next step is to establish a narrow-web flexo division, with an aim to provide solutions such as shrink sleeves and labels. “The whole idea is to be a one-stop shop and offer all solutions in-house that our customers require. We are currently deliberating this issue at the management level. We hope that something concrete will come up in a year’s time,” says Nitin Shah. The flexo division will be housed in the Silvassa plant. Currently, Award generates more than 90% of its revenue from the pharmaceutical packaging segment. However, the company management is focusing on diversifying into the food and retail sector. The trigger, according to Rajesh Shah, were the US FDA issues faced by Indian pharmaceutical companies and the subsequent impact on Award’s business. “We have lost significant business in the recent past due to the US FDA woes that the Indian pharmaceutical industry has been facing. Hence, we decided that we need to generate some of our business from other segments as well and not rely completely on one industry,” Rajesh Shah says. Some of India’s biggest drug companies have been at the receiving end of the US FDA’s wrath. Typically, the US FDA issues a form 483 to pharmaceutical companies if it spots any condition that in their judgment may constitute violations of the US Food Drug and Cosmetic Act and related Acts during inspections. Until they meet these conditions, or there are negative observations by US FDA, these pharmaceutical companies cannot export to the US. Since in recent years there has been a spurt in the negative observations during plant inspections for approvals as well as issuance of warning letters, many Indian pharmaceutical companies have been negatively affected. Rajesh Shah says that the company will look to bring down the share of pharmaceutical sector in the overall business from more than 90% to about 75% in coming years. Award’s Navi Mumbai plant will focus completely on the pharmaceutical industry while its plant at Silvassa will be responsible for 60% of the production for pharmaceutical segment and the rest for non-pharma segment. “Yes, we would like that about 25% of our business comes from sectors other than pharma. But that is where we would like to stop. At least 75% of our business will always be from the pharma industry,” Rajesh Shah says.